Climb in to a unique, open-air, biofuel H1 Hummer for an unforgettable trip to the summit above Avalon. Traveling to 1,500 feet above sea level, you’ll enjoy a birds-eye view of romantic Santa Catalina Island and the ocean beyond. 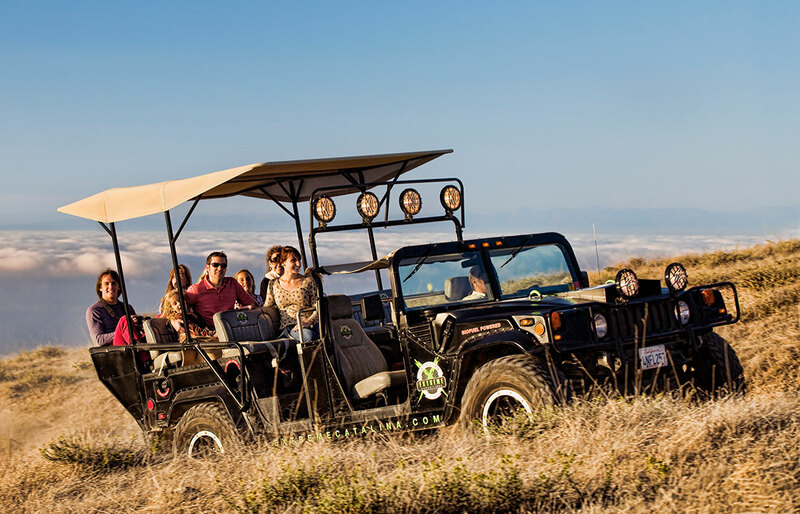 The open-air Extreme Hummer Tour travels five miles up rugged interior terrain, where you will experience spectacular views of the coastline and deep canyons below. Lined by beautiful eucalyptus trees, the tour winds its way back along the Summit Road into Avalon. Advance reservations are recommended.